Jack Perkowski, nicknamed Mr China, shared his own personal journey on how to create a successful business in China in his recent presentation. Jack Perkowski, also fondly called “Mr. China”, has been in China’s business scene since the early 90s. Over the course of his career on Wall Street, Jack held a variety of positions in PaineWebber’s Investment Banking Division. In 1987, Jack negotiated, and then renegotiated after the stock market collapse on Black Monday, October 19th, a $300 million equity infusion into PaineWebber by the Yasuda Life Insurance Company of Japan. 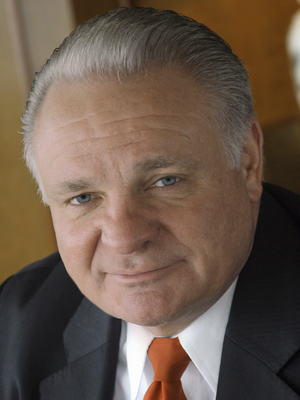 Jack served as Chairman of ASIMCO’s Board of Directors and was Chief Executive Officer of the company from 1994 to 2008. Non-Executive Chairman of Talkr, Inc. (creator of mobile phone applications) . Widely recognized as an expert on doing business in China, Jack authored “Managing the Dragon: How I’m Building a Billion Dollar Business In China”,published by Crown Publishing, a division of Random House, in March 2008. The Chinese edition of the book was published by China Youth Press in May 2008. Jack has also written numerous articles on China and doing business in the country for the Far Eastern Economic Review, AmCham’s China Brief, BusinessForum China, Huffington Post and other publications. Contact us if you would like to engage Jack Perkowski to speak at your next business event.